One of the world’s finest examples of Duesenberg’s fabled J-Series, a 1935 SJ Convertible Coupe – one of only three built and the only one equipped with the then-offered optional 320 hp supercharged engine – makes a special appearance showing at the Hillsborough Concours d’Elegance, Sunday, July 21, on the fairways of the Crystal Springs Golf Course, Burlingame, CA. Hours for this, the 57th edition of the world’s longest continuously-running vintage motor car gathering, are 10 a.m. – 4 p.m. Admission is $30 (children 13 and under, free). 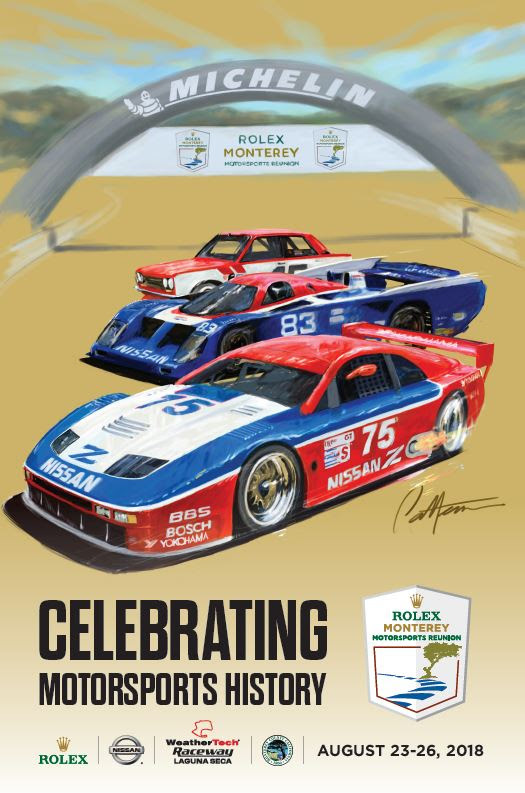 The Concours also offers a $75 VIP admission pass, which includes parking, beverage and food service. The SJ, which is on loan from San Francisco’s Academy of Art University, was built as the firm neared the end of its production in 1940. The J-Series had been launched in 1928 and the 472 J-chassis built in that line have been recognized as possibly among the greatest cars ever built. 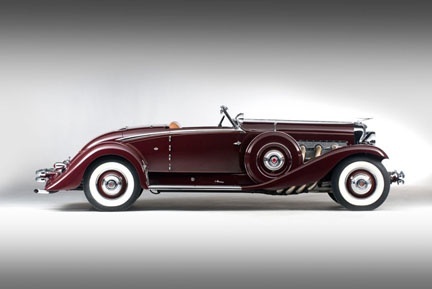 Work on this sleek SJ, which won first in class at Pebble Beach in 1998, was begun by Duesenberg’s J. Herbert Newport who called in noted designer Alex Tremulis to capture more dynamic styling motifs emerging in the ‘30s. It is more streamlined than its predecessors, sports rounded fenders, a lower profile accentuated by 17-inch tires, a curved beltline and swept molding spears. The crank-operated “semi-automatic top” folds up under a flush-fitting lid. Bodywork was by Walker-LaGrande of Indianapolis. 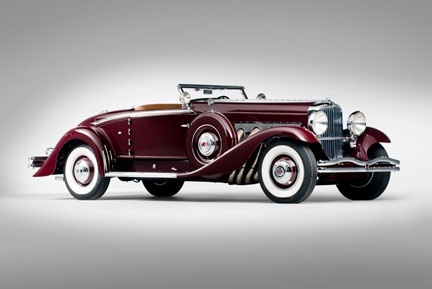 Throughout their lives, J-Series Duesenbergs were assigned to varying coachbuilders, including Murphy, Derham, Bohman and Schwartz, Rollston and LeBaron. Beginning with the 1913 Indy 500, brothers Fred and August Deusenberg built race cars that had reputations for speed and reliability. Former San Francisco resident Peter DePaolo won with Duesenberg at Indy in 1925, first car to average over 100 mph on the circuit – and a record that held up for seven years. In 1921, another San Franciscan, Jimmy Murphy, had beat Europe’s best at LeMans in a Duesenberg. 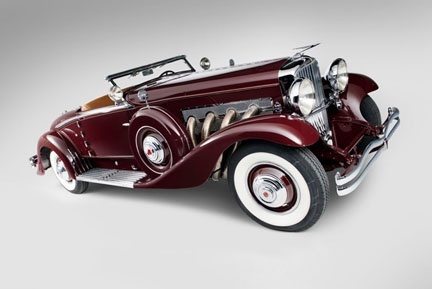 In the mid-‘20s, entrepreneur –super salesman E. L. Cord, a man who already had experience in the car game, bought the Duesenberg company, coined a sales slogan, “It’s a Duesie,” and challenged the brothers to build a large, sleek, powerful car. 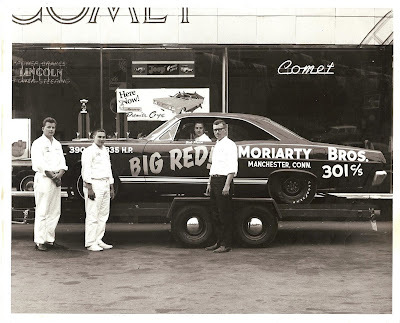 Large and powerful they were: “short” wheelbase versions ran 142 ½” and “long” was 153 ½”, they weighed in at more than 4500 lbs, the 420 cu. in. DOHC engines (with four valves per cylinder) produced 265 hp and the cars could run at over 120 mph. Featured marque at this year’s Hillsborough event is Aston Martin. There is a showing of Zagato-bodied cars, showroom 1957 models, Porsche 911s, vintage British motorcycles and a panorama of Chevrolet Corvettes showing the 60-year evolution of the all American sports car. Charity beneficiaries of the Hillsborough event are Autism Speaks, North America’s largest autism science and advisory organization, the 49ers Foundation, which provides extensive support for at-risk youth in the Bay Area and the Hillsborough Schools Foundation, which provides support for four public schools in Hillsborough.